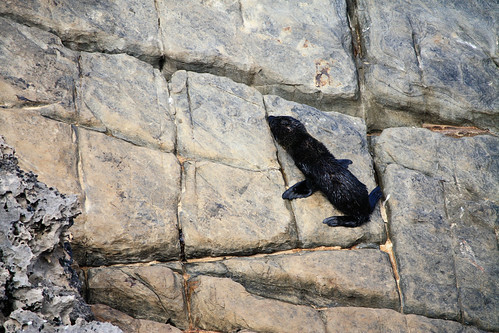 When we were in Kangaroo Island down at Admiral’s Arch in Flinders Chase National Park there were heaps of seals. They were quite entertaining for various reasons. I started photographing this baby seal. 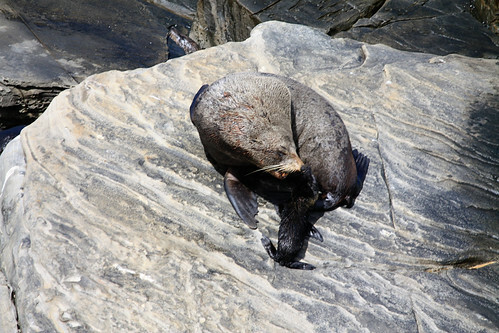 Then I saw that it was making its way to a larger seal. Mum perhaps? It makes it to mum, but she’s not really interested. Mum turns around and tells the little one to go away. Perhaps she’s not its mum? 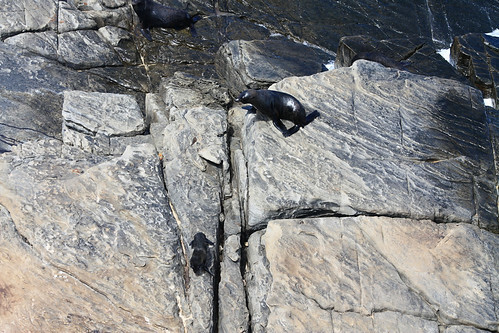 Baby seal is not to be deterred. Mum is not going to budge. It does appear from these photos that they did indeed connect and it was all happy family, but it wasn’t. You can’t see what was really going on in these photos. 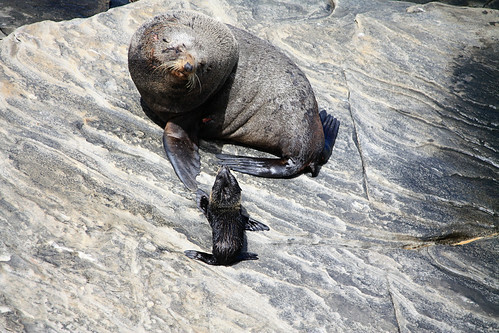 The adult seal was not having a bar of the baby. Was the baby hers? I don’t know. Linking up with Trish for Wordless Wednesday. She’s got baby meerkats over there. oh what a sweet little baby seal!!! 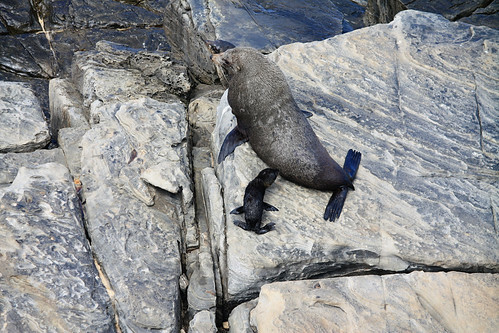 Maybe Mumma seal was trying to have a break… 🙁 so sad! Oh that is quite sad but like you say it’s nature! What an amazing collection of shots, you were def in right place at right time! Perhaps she was in the process of weaning? I know with cattle the cows can be quite assertive in their sending the calves away. It is so true. Nature is as Nature does. Great photos.